For many enthusiasts, ease-of-wrench is one of the most important factors when buying a new or newer-ish car. Which modern cars are the easiest to work on? We have the answers, thanks to our readers. Thanks to their service as taxis and police vehicles, Crown Vics were arguably some of the most beat on and hard-driven cars of the last decade. Because of this, Ford designed the Crown Vic to be incredibly simple to replace parts all around. Sadly, they don’t make Crown Vics anymore, but there’s plenty of late model ones to go around. I wonder if the new Ford Police Interceptor and the Ford Explorer Police Interceptor are just as wrench-friendly. 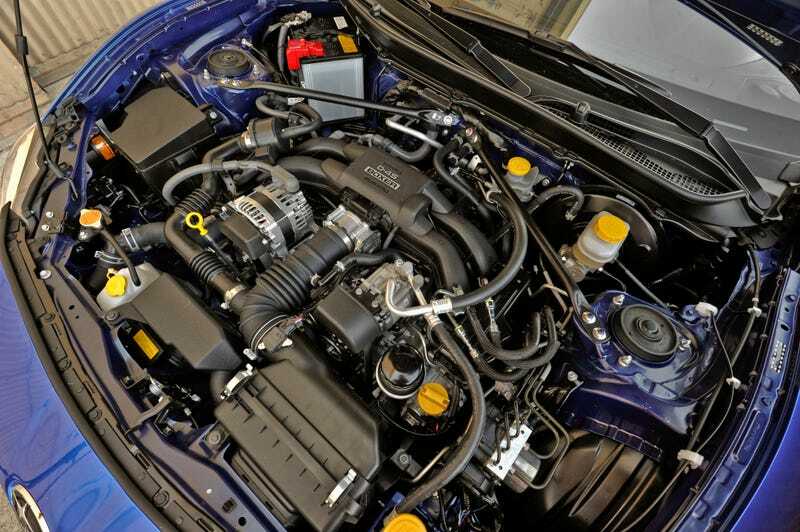 When opening the hood on the 3.8L Hyundai Genesis Coupe, you’re greeted by the sight of an almost plastic-less V6 and a whole lotta room to access replacement parts or drop in some bolt-ons. Reader DrunkenMessiah can also explain why he feels this is one of the easiest cars to turn a wrench on. Note the lack of bigass plastic “engine hat” that is almost universally found on modern automotive engines. Plenty of room between the back of the radiator and the front of the serpentine belt. Intake manifold comes off with less than 10 minutes of work. Spark plugs are a snap, alternator comes right out, fluid changes are super-easy. Hyundai really wanted this car to become a darling of the tuner world the same way that the FRS/BRZ has. That didn’t really happen, but the car is still very easy to work on because of everything Hyundai did to make it more ‘mod-able’. In the last generation Chevy Cruze, many common maintenance items were easily accessible, well-organized and easily visible when popping the hood. What more could you ask for in an economy sedan? A well-spaced transverse motor with almost everything under the hood at arms length. Is that the O2 sensor right in from of the motor? Could it get any better than that? Because the Corolla is a car that feels like it hasn’t changed in 10 years, it is great at one thing: being incredibly easy to work on. Though it looks a little tight under the hood, the car lacks most normal modern technologies that you might find in competing cars, which makes it much easier to work on. Finally the Corolla has something it can be proud of. Mixing a pickup truck’s duties as a work-truck and a daily driver can often lead to some unforeseen repairs and additional maintenance to keep the gauges reading properly and the truck running good. Thankfully, GM has designed the truck so that when something does go wrong, there isn’t much fuss. Yes it’s true, the Lada is technically just a 4x4 straight outta nearly 40 years ago, but it is still in production and much of what was originally designed back in 1977 still lives on. This is good news for us wrench-turners. You just might have to pull that spare tire out of the engine bay when you really need to get in there. I’m pretty sure that if I disconnected that air intake on the left, I could probably squeeze my whole body between the windshield washer fluid reservoir and the firewall. I guess that’s what happens when a car only gets two generations over 20 years of production. And by no means is that a bad thing! As long as you’re not doing spark plugs, the Toyobaru twins are two of the easiest modern cars to work on. The oil filter sits right up top, the cars have a huge aftermarket and tuning fanbase, bodywork is simple and cheaper to repair than on many competing cars and if you have to pull the motor for whatever reason, it’s one of the easiest cars to do it with. The current Jeep Wrangler is pretty much built like a Lego set. It’s incredibly modular and ready for most body modifications, and for most service under the hood, everything is easily accessible and simple. Reader As Du Volant has some additional reasons for why he thinks the Wrangler deserves this title. Jeep Wrangler. It’s a body-on-frame 4x4 with solid axles front and rear and a longitudinal-mount engine and transmission. The engine tech is most definitely 21st-century but the rest of it is as classic as they come.